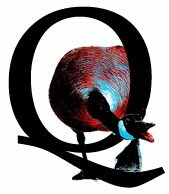 Most tarot decks number their Major Arcana with scientific/computer numbering- the first card is 0 and the 22nd card is #21. There’s solid symbolic reasons, but I mention this only to point out that I’m now talking about the second card in the Majors. I acquired Eden Gray’s paperbacks on Tarot with my first deck. They were also the books my then-partner (who took the Tarot from being a vague literary reference to a presence in my life) used to learn the cards. Ms Gray’s interpretation of this card never sat well with me. As I wrote to someone recently when discussing this card, for me it “represents a charlatan more than sage. Asked why, I replied perhaps “it is just that the card seems too early in the major arcana’s journey to be a powerful and ‘deep’ wizard.” The Majors are generally understood to represent a person’s (‘soul’s’) journey to understand deep philosophical questions on the meaning of life or the mysteries of creation. 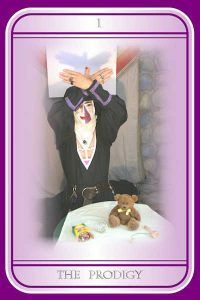 As such, being the first card after The Fool (card 0)- the first step on that journey- I compare it to ‘performing magic tricks’. Not to sleight the skill and practice necessary to do those well- nor the enjoyment they can bring. The risk is that we can be distracted by the shiny object. the joy of learning new tricks. The card is, for me, often a warning. At this point I must point out that there are NO WRONG MEANINGS for a card. When I do a reading with one of my decks, whatever the process by which cards are placed into position to be dealt out, it’s done within my understanding of the cards. That’s why I refuse to offer a ‘second opinion’ or interpretation of someone else’s reading. Certainly reading books, watching videos or attending workshops are great starting points. Learning how others view the cards, the deep symbolism often contained within the images, and studying what Carl Jung called the collective unconscious may lead you to your own views of a specific card. Keeping a record of spreads you do, and how you interpret the cards at that time, in that spread, is a great habit to develop. See also How It Works at my Card Reading business site. All that being said, the equivalent card in The Tarot of Sister Who is The Prodigy. 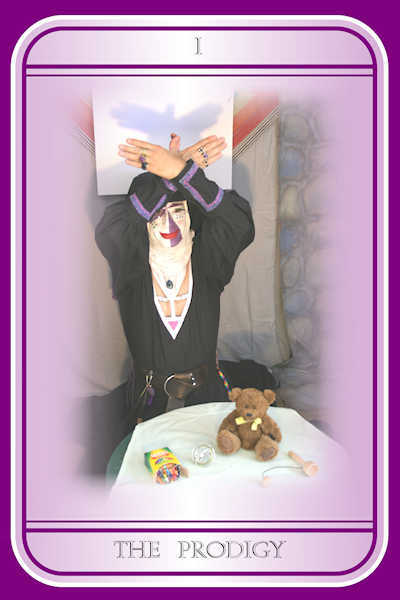 The card’s entry in the book that accompanies the deck is below. It describes the image with suggested meanings that, to me, better explains the traditional view of it being a ‘power card’. Learning is power- but not without mistakes, missteps or the need to nap. Sister Who’s Major cards are a more earthly progression of one’s life than the traditional Major, and so places the young subject still at home. Their physical journey away starts after a few more cards. A teddy bear, a gyroscope, crayons, and a cup with a ball on a string—these are only some of the ways that youthful innocence, disciplined skills, hidden wisdom, and restless curiosity combine to bring surprises to each day’s unfolding. The spirit within is a bird yearning to take flight, that is sometimes only visible within the “shadows” it casts upon the surrounding world. Merging body, mind, and spirit toward manifestation, the Prodigy equally bridges the gaps between heaven and earth, matter and spirit, teacher and student, and master and servant—transforming both the participants and the circumstances within each moment of interaction. From the quietness of a loving hug to the stability of whirling science, every available thing is an opportunity to begin again using whatever colors one chooses, to draw the inner landscape that only the heart can see. 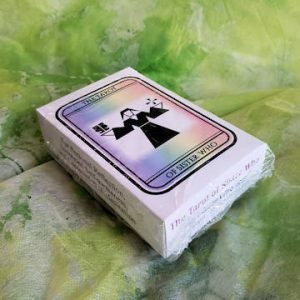 Full Disclosure: The Digital Gryphon LLC is providing professional sales and marketing support for the Tarot of Sister Who (TSW); and will receive nominal compensation for those efforts.